Toxic board member. Green. Long nails. Holds people hostage. I’m able to speak freely here because the board member you want to fire ain’t reading my blog. This board member needs no resources, no tools and no advice on how to approach board service. S/he’s got this. The problem is this board member is toxic. In fact, that’s the board member’s name. Toxic Board Member, or TBM for short. Harsh? Yes, but I see it often and that’s the word lots of people use – not just me. I’m really sorry to disappoint you. I don’t have any steps. You know how to fire a board member? If you do, please comment below because I’m dying to know your recipe. So why am I bothering with this post? Because you can make TBM go away. HOW DO YOU KNOW THE BOARD MEMBER IS TOXIC? You might be laughing. I don’t need a list, you’re thinking. Anyone can see that this board member is toxic. Here’s how to know if TBM is bringing you down. TBM complains loudly about fundraising obligations and would make a motion to eliminate the board’s give/get if he felt he had the votes. You have board members who are MIA and you often pray that TBM would be. OK, so you have now established that TBM really is toxic. How do we make TBM go away? So I’m sorry to report that you can’t actually fire a board member. It can damage the reputation of the board member and by extension, the organization. However, you do have two options. First, you can secure TBM’s resignation or second (the more common strategy) you can manage TBM out. Revealing confidential information to the public. Anything that would have significant implications on the credibility or viability of the organization. Now board members “leak” stuff all the time (and shouldn’t) but here I’m talking about egregious leaking – say, revealing the board vote on the hiring or firing of the CEO. Sexual advances to any staff members. In any of these situations, revealing the egregious action to the board would be an extreme embarrassment to TBM and securing a resignation should be fairly straightforward. It is important for people to know about the consequences of bad decisions. I didn’t say easy. I said straightforward. Here’s how I think of it. 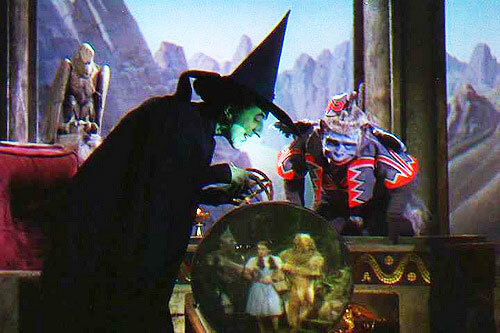 Instead of dumping the whole bucket of water on the Wicked Witch of the West, just pour slowly. In an intentional and strategic way, the Board Chair and the CEO must work steadily to reduce Toxic Board Member’s power, minimizing his influence step by step until he disappears (resigns). Board Chair and CEO on exactly the same page. TBM must go and they both agree that it will take longer than either of them will like. They also must agree that each of them will have an extra burden of work to get it done. Board Chair connects with Governance Committee. If your board is large enough to have one, you don’t want to leave them out. You want the buy-in of this group. Be sure everyone is on the same page. Secure Other Allies. Board Chair and CEO go through the board list. Find a good handful (3-4-ish) that feel exactly the same way they do. Secure their buy-in around the plan and their commitment to speak up so that the Board Chair and the CEO are not the only bad guys when TBM goes off. What’s happening here is that the Board Chair is building a support team. Also, the balance of power is shifting. Give Additional Power to the Allies. I like the idea of some kind of ad hoc committee with an ally as Chair – it could be around board recruitment or fundraising – something where TBM is on the wrong side of the issue. See what happens here? The power dynamics continue to shift. TBM‘s melting away. Board Meeting Agenda: Roles and Responsibilities. Now that support has been built, the Board Chair can add some discussion to a board meeting either reminding folks of their roles and responsibilities or better yet, adding one or two that TBM will completely hate. It has to be something that will pass without him – ideally, something like raising the give/get – but anything that shows to TBM that he is terribly out of step and no one is listening to him. TBM has no allies. TBM melts. TBM resigns. A few more board members have stepped up and assumed new responsibilities and power. The right kind. The Board Chair can feel enormous pride that she/he took real responsibility for the effectiveness of the board. Every board member will understand what happened and every single board member will be thankful for the outcome. Have a meal – Board Chair and CEO. Dissect how TBM got onto the board to begin with. Meet with the chair of your Nominations or Recruitment Committee. Share the lessons and adjust your recruitment process to minimize the likelihood of it happening again. And by all means, avoid any board prospects wearing ruby slippers.